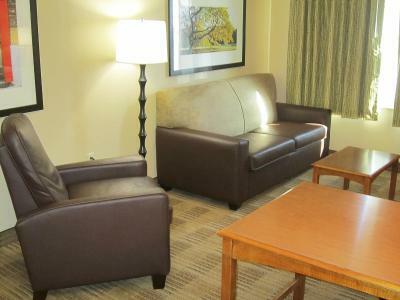 The two room suite was very nice for a good price. The bed was great. The property was clean. The staff was great. The front desk staff was very friendly and helpful. It was close to stores for shopping and restaurants to grab a bite to eat. Value, comfortable, couch, kitchen, bed comfortable, room was clean. Room was nice and large however very stale smelling and not clean lots of stuff found under beds Nd in side table drawers. Friendly staff but location in questionable area in desperate need of updates and new bedding. There was blood splatter on the bathroom door, I alerted the staff and they promptly cleaned the area. The dishes and pots and pans are in horrible condition. Everything was on point. Planning another visit real soon. 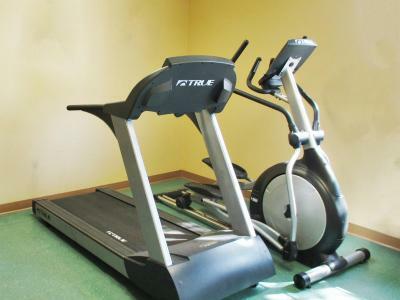 Extended Stay America - Jackson - East Beasley Road This rating is a reflection of how the property compares to the industry standard when it comes to price, facilities and services available. It's based on a self-evaluation by the property. Use this rating to help choose your stay! One of our best sellers in Jackson! 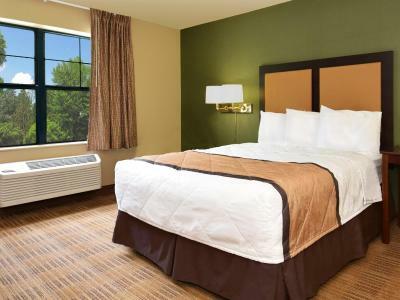 This Extended Stay America - Jackson - East Beasley Road is located in Jackson and especially designed for longer stays, with all rooms featuring a fully equipped kitchen. The hotel offers free WiFi and a 24-hour front desk. 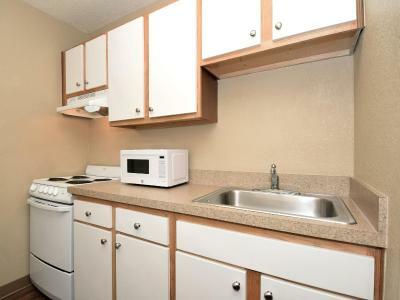 Every kitchen at Extended Stay America - Jackson is equipped with a stovetop, microwave and a fridge. 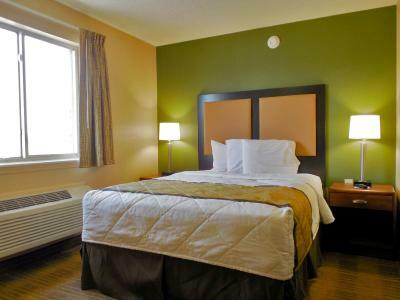 The hotel also provides guests with laundry and ironing facilities and bedding with extra pillows in every room. 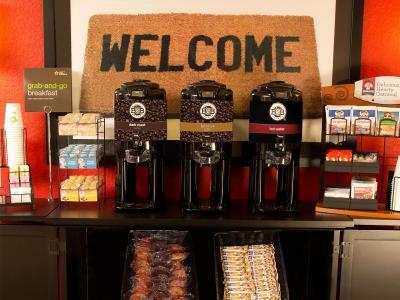 Free grab-and-go breakfast including breakfast bars, muffins, hot cereal, coffee and tea is served every morning. 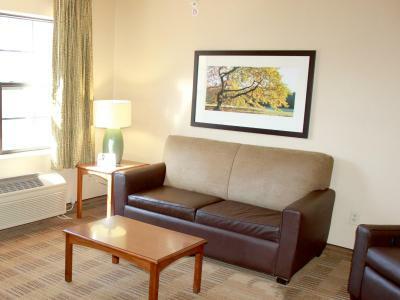 Complimentary weekly housekeeping services is provided and daily service is offered for a fee. 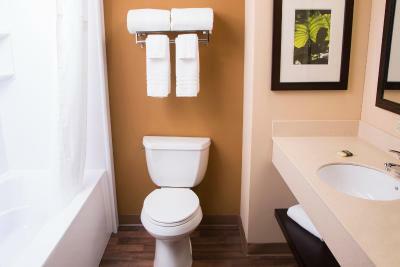 Towels and linen can be exchanged at the front desk at any time. The property offers free onsite parking and free local phone calls. Attractions within close proximity to the hotel include the Nissan North America, the Mississippi State Capitol and the Entergy. This property is also rated for the best value in Jackson! Guests are getting more for their money when compared to other properties in this city. 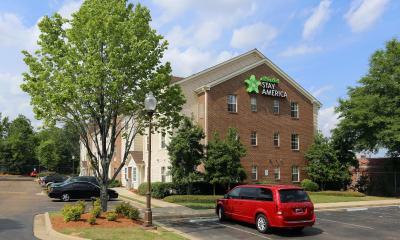 When would you like to stay at Extended Stay America - Jackson - East Beasley Road? 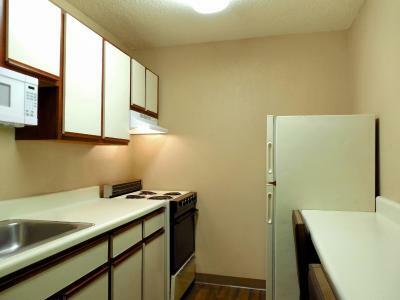 This accessible studio features a kitchenette, dining area, and desk. A seating area with a reclining chair is also included. This suite features a kitchenette, dining area, and desk. A seating area with a sofa bed is also included. This studio features a kitchenette, dining area, and desk. A seating area with a reflecting chair is also included. This suite features a kitchenette, dining area, and desk. A seating area with a reflecting chair is also included. Eight miles from Jackson and ten from Nissan North America, Extended Stay America's 93 suites offer business and leisure travelers free WiFi, full kitchens, flat screen TVs, free grab and go breakfast, and onsite laundry by the day, week, or month. House Rules Extended Stay America - Jackson - East Beasley Road takes special requests – add in the next step! Extended Stay America - Jackson - East Beasley Road accepts these cards and reserves the right to temporarily hold an amount prior to arrival. Asked for non smoking and it seems like some smoked in the room. It smelled of smoke. First ,let me start by saying, this hotel facility allow drug dealers to sell and smoke weed with in the facilities. The room I had a strong odor of marijuana, my kids suffer from allergies,and they immediately starting coughing. One of the residents said they rent out this hotel weekly ,and hotels don't was their sheets. They just had a bad break out of bedbugs everywhere. IF YOU NEED A HOTEL PLEASE RUN THE OTHER WAY!!!!!!!!!!!!! I didn't like anything about this hotel. The elevator was not working. We had a 3rd floor room and lots of bags to move with 6 in our group. There was NO hot water in our shower. We were unable to take a shower in our room. We were given another room key to take showers so that we would not have to move all of our things. The wait to check in because no one had inspected my room. No elevator to use. Had to carry luggage ect up stairs. We had enough for a week. Had to carry groceries up stairs. The property could use some updates to rooms and only a few floors, but elevator was slow. Entry into our building dirty. Sink plumbing worked but loose, bathtub plumbing also worked but needed attention. Only 2 pillows, no breakfast to speak of, no hair dryer.